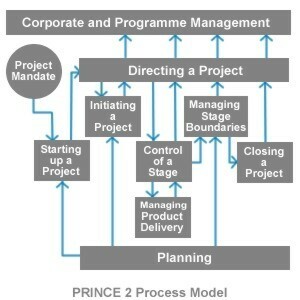 The PRINCE2 project management method focuses on organization, management and control. Originally developed in 1989 by the Central Computer and Telecommunications Agency (CCTA) in the UK as a standard for IT project management, it is now widely used and is the "de facto" standard in the UK for project management. The latest version of the method, "PRINCE2", is a generic approach of project management, which is used for both IT and non IT projects. PRINCE2 (PRojects IN Controlled Environments) is process-based, providing tailoring and scaleable changes towards effective management of projects. Each process is defined with: key inputs and outputs, objectives to be achieved, and activities to be carried out. The method divides projects into manageable stages to encourage efficient control of resources and regular progress monitoring. PRINCE2 is "product-based", meaning the project plans are focused on delivering results, and not simply planning when activities are done. It is driven by the project's business case which should describe the justification, commitment and rationale for the deliverables or outcome. The business case should be reviewed to ensure the objectives are appropriate and are realized. It also provides a common language across a project and provides breakpoints within a contractual framework. Originally developed in 1989 by the Central Computer and Telecommunications Agency (CCTA) in the UK as a standard for IT project management. CCTA was renamed to OGC (the Office of Government Commerce). The method was originally based on PROMPT, a project management method created by Simpact Systems Ltd in 1975. PROMPT was adopted by CCTA in 1979 as the standard to be used for all Government information system projects. When PRINCE was launched in 1989, it effectively superseded PROMPT within Government projects. Directing a Project. Steps that Project Board members should take to provide effective support and steerage without excessive time commitment. Starting Up a Project. How to qualify initial ideas and appoint a Project Board representing User, Supplier and Business interests. Initiating a Project. How to fully qualify a project to ensure it is likely to meet its ultimate objectives, ensuring organizational buy in before major commitment of resources. Controlling a Stage. The day to day steps a project manager should take to manage work, react to events and escalate major issues. Managing Product Delivery. 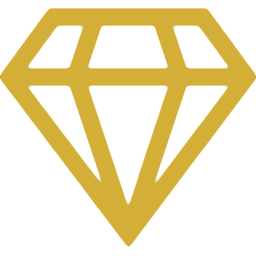 The steps teams should take to agree work packages, report on their progress, and deliver completed work. Managing Stage Boundaries. How to prepare for Project Board reviews when progress and future plans are discussed, and out of tolerance conditions handled. Closure. How to close down a project, how to handle follow on actions, how to handle post project benefit reviews. Planning. How to plan, irrespective of when the planning is done. Structured method providing a standard approach to the management of projects, embodying proven and established good practices in project management. Being widely recognized and understood it provides a common language for project participants. Provides control in use of resources and to manage risk. Encourages communication channels between the project, project management, and stakeholders. Ways of managing changes, to reduce risk. Projects are more successful when managed using a methodology.